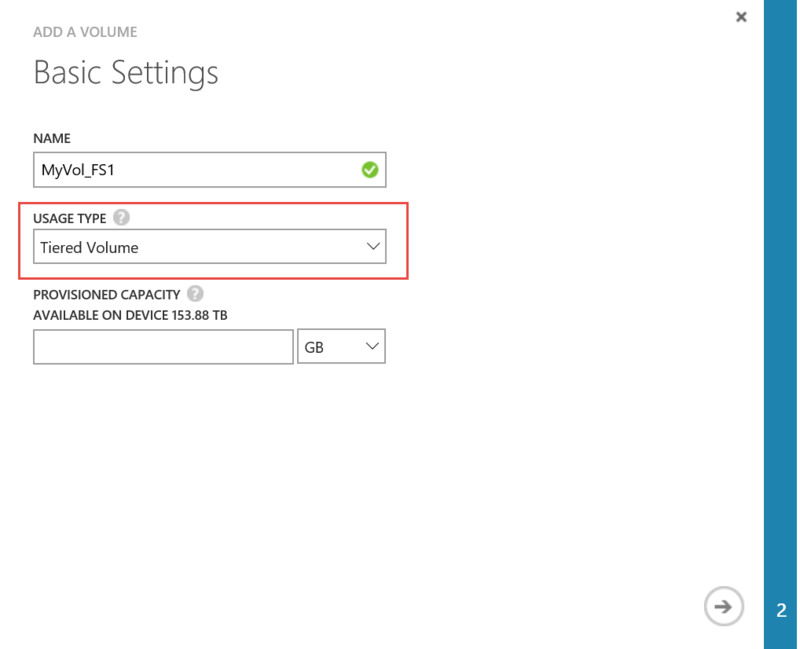 Microsoft decided to rename the Primary Volume type in a StorSimple device to Tiered Volume. The StorSimple still has two volume types: Tiered Volume (formerly known as “Primary”) and Archival Volume. The confusing thing however, is that both of these volume types tier data to the cloud and can have a local presence on the device. Archival Volumes are used mainly for less frequently accessed archival data. For all other use cases, we advise to use a Tiered Volume. For a tiered volume, the chunks of data are stored in 64K block sizes and for archive volumes they are stored in 512K block sizes. Tier more data in an archive volume to Azure. Each time a block corresponding to an archive volume is selected to tier to the cloud the entire 512K block will tier (as opposed to just 64k with a tiered volume), therefore sending more data to Azure at one time. Azure StorSimple can create thinly provisioned volumes only. You cannot create fully provisioned or partially provisioned volumes on an Azure StorSimple system.